Coming to an internet near you: ‘Paid Privacy Protection Plans’ (PPPP). 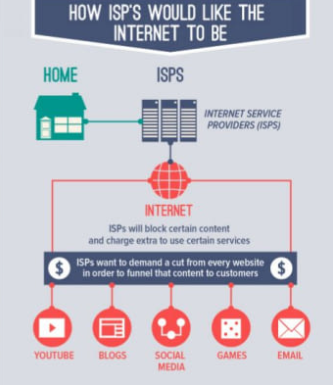 In a neutral environment, Internet Service Providers (ISPs) like AT&T, Charter (which owns Time Warner), ComCast and Verizon act as a gateway to the world wide web. As a matter of reference, there are roughly 100,000,000 internet subscribers in the US and these 4 companies account for nearly 70% of all subscriptions. It’s the same in Canada and elsewhere, where 3-4 companies act as the gateway to everything we search, read, watch and enjoy on a routine basis. 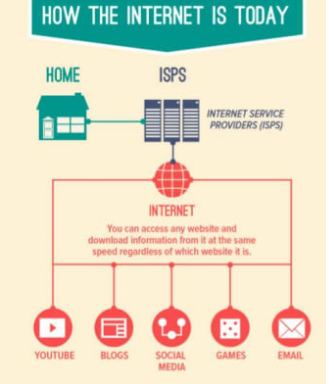 We’re charged in a number of different ways to access this gateway (example: speeds are limited, that total amount of download capacity is capped and so on), but we’re not charged to access specific sites and groups of sites or services are not usually censored or blocked from being viewed. The ‘gatekeepers’ were not allowed to restrict access, nor were they allowed to give others privileged access to the market. Of course, many people complain about the cost of access and how much it’s been rising in recent years, especially when we’re using multiple services to essentially get the same thing (ie. streamed TV via cable, streamed radio via Sirius, Internet service via phone or cable, phone service via cable/DSL/wireless). When you add up phone, cable, internet and cell phone bills for a family of four, the cost can be anywhere from $200 to $500 per month, depending on the range of services that are chosen. That’s $6,000 PER YEAR for a family of four. It used to be that our ‘communication’ cost was a phone for a few bucks a month. TV and radio were free, as they were broadcast over the airwaves. Net Neutrality as a practice was killed by the US government December, 2017. This is akin to saying that it should be up to car companies to determine whether or not their vehicles are safe. Of course, this kind of foolish libertarianism is going to kill access to information, but folks like Pai don’t seem to care. It’s a simple summary, but hopefully you get the idea. The gatekeepers have been converted to editors, censors and profiteers all in one swift stroke of the pen. You would think that the universe of media consumers would say ‘F-U FCC and US government for letting this happen. There’s not a chance in hell I’ll pay more for basic internet access’. The stage is being set for the great conversion from a Net Neutral world to a paid access world. Facebook’s ‘privacy’ issues brought up as a result of the 2016 US elections. You could also consider adding the ‘Internet of Things’ (IOT) that so many marketers, service providers and manufacturers are getting VERY excited about. I predict that these variables will be swirled about as tools to convince us that we should enlist for the new age of access to information via what I’m calling ‘Paid Privacy Protection Plans’ or PPPP or 4P. Consumers – experiencing the anxiety and fear associated with the events and tactics being implemented and abused above – will sign up in droves to a paid service that will protect their privacy on a routine basis. We’re being duped into thinking that non-mainstream sites are the DNA of ‘fake news’ and that the ‘traditional’ mainstream companies (eg. FOX or CNN) have our best interest at heart. The ‘Facebook follies’ and interrogation of Mark Zuckerberg were nothing but a show for consumers at large to make us think that our privacy is at risk. Ongoing security issues will also address the ‘spin’ that we’ll be protected if we sign up for something similar in concept to the 4P model. An example of this is Nexus, which merely requires all of your personal biometric information so that you can freely move between Canada and the US. You’re trading everything about you for a wee bit of convenience. It’s a gold-mine for industry. Not so much for you. And the promise of privacy? Sure … it will last about as long as a financial quarter for any of the companies involved because they’ll be pressured to sell your content to the highest bidders, ie. advertisers and the security establishment. Don’t agree? If you’re still connected to the last century and have a land-line, how many calls a week do you get from duct cleaners, Microsoft repairmen, travel companies or even the ‘Canada Revenue Agency’ threatening to send ‘sheriffs’ to your door to arrest you? Welcome to the new regime. We hear about it all the time, especially from ‘fake news’ organizations in the mainstream. We’re being told that things like ‘gender neutral’ washrooms are a crime against nature. Or that we don’t need to worry about ‘climate change’ and that it’s just a conspiracy to get us to pay more at the gas pumps. Or that digital technology is invading our privacy and offers us nothing in return. Or in the US how efforts to take weapons of mass elimination (ie. guns like the AR15) out of the hands of ‘freedom fighters’ is tyranny. Wrong on all counts. And many, many more. Think about how our very own language confronts and subjugates women. Examples: think of any word referring to ‘women’ that is not diminutive or derivative of ‘men’. Female? No. She? No (‘he’ is part of ‘she’). ‘Mister’ ranks higher than ‘Missus’ (‘Mister’ being a variant of ‘Master’). Human? Nope – hu-man. Thankfully, this breed of humanity can’t fight the constant rising tide of women, people of different race and ethnicity and youth that want to be treated equally and have the right to treat people equally. This breed of person (pere-son, or father’s son from French) has to be prepared to concede a little territory to the rising tide of people that want to join in on determining the fate of this planet we all share. We’re supposed to point our fingers at social media sites like Facebook and enablers like Google for the so-called harm they’re imposing on our system. They’re actively trying to steal our democracy. Traditional publishers clearly doing their best to mislead the public when it comes to voting, decision options and the future of democracy. Companies like PostMedia and other simply CAN’T BE TRUSTED. The folks at CanadaLand have proven this time and again and have proven this one more time in the run-up to the provincial election. 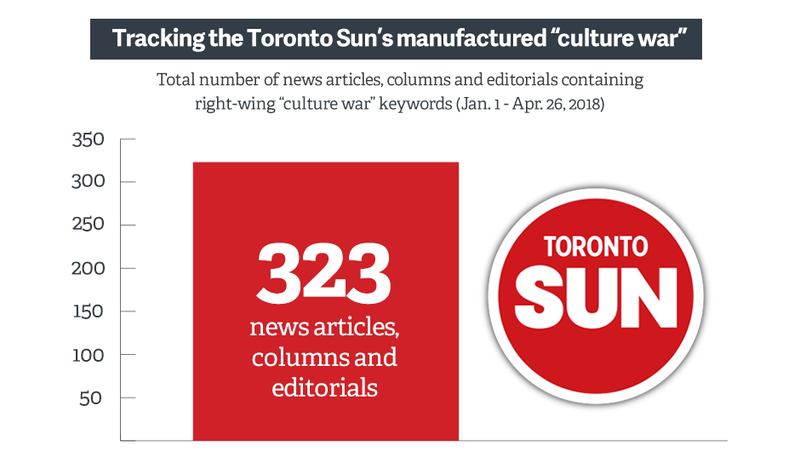 The case is made based on leaked documents from the Toronto Sun (a subsidiary of PostMedia) that they will ‘structure’ the debate according to their makers. Example: ‘culture war’ as a meme created by Sun Media. The good place for this kind of media is the trash bin. Donald Trump has officially declared that trade wars are good. Well, he’s got a BIG one with China. I’ve tried to rationalize the insanity and I think the short-cut for the radical conservatives is for them to believe that all of this madness will translate to the jobs and more income that Trump promised in 2016. This, of course, is folly. Trump’s approach to China is like using a wrecking ball to cut a turkey. It’s messy and there will be no benefit to those who need it most. And then what happens? Chinese companies swoop in (maybe under different venture company names or numbered companies) and scoop up what’s left to buy in the US. With one simple action – the declaration of a trade war with China – Trump has sold out America to the so-called enemy that he’s trying to put at bay. NOW … here’s the thing I’m having trouble getting my head around: what if he’s right? Hear me out: for decades, most of the Western world has sold out everything to China. Work. Ownership. Debt. Food supply. Pretty much everything else. And the question is why? China has a deplorable record with the environment, human rights, economic distribution, access to their economy and more. So, I hate to admit that despite everything I said above, maybe in a very weird, perverse way, Trump is right to take a stand against China. We are reaping what we have sewn. The Western world might as well start the (Chinese) proverbial process of a walk of a thousand miles beginning with one step. Of course, this can only be true if Trump has the moral high ground. He doesn’t, so I’m back where I started. Mainstream media – lead by companies like Sinclair in the US or PostMedia in Canada – can’t be trusted any more. For too long, corporate interests have been pushing news and information into the abyss, only to generate its own version of some ugly-headed Medusa that turns us all into stone. For nearly two decades now, consumers of media have had options and these options are coming under fire by idiots like Trump and Bannon’s Breitbart that suggest people who seek out the truth are, well, idiots. Let’s identify the perpetrators of the crime here: corporate-owned mainstream media. The sooner we understand this and how advertising and other financial conflicts of interest conspire to mislead the public, the sooner we’ll have an opportunity to take back full ownership of our democracy. And keep up the pressure! Companies like Sinclair are finally being called out for their BS and lies.